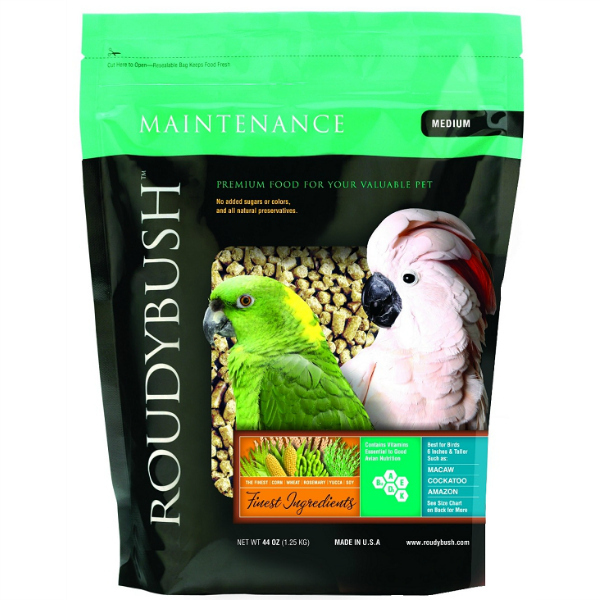 Daily Maintenance: Use this diet when switching your bird from its old diet to Roudybush. 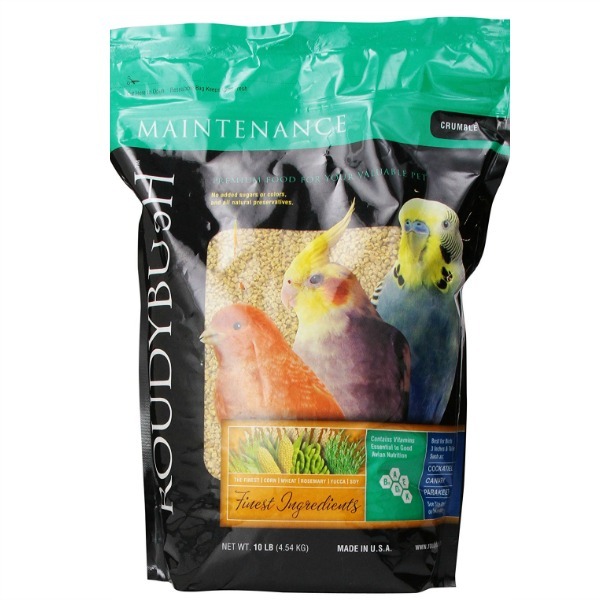 Continue to feed to adult birds that are not laying eggs or feeding chicks. 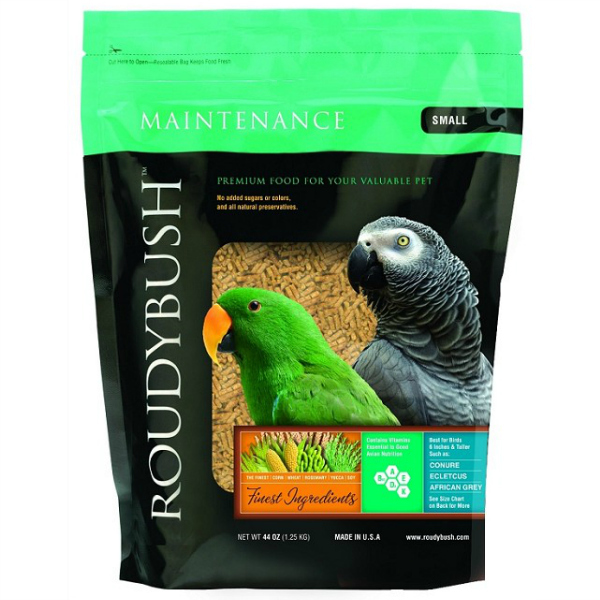 Lories and lorikeets, which will accept this diet, will have drier droppings than they have on nectar. Fresh fruit and vegetable treats may be given as a minor part of the diet. 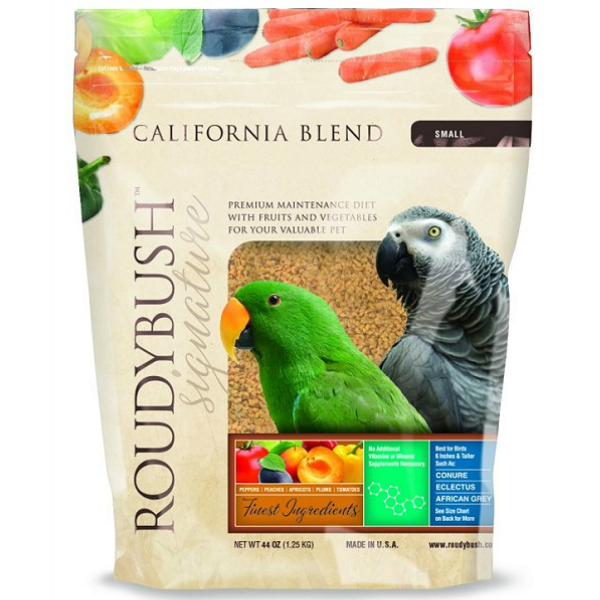 California Blend: A wholesome blend of dried peaches, apricots, plums, bell peppers, carrots, tomatoes, and cabbage combined with Roudybush Daily Maintenance pellets and a healthy dose of sunshine. 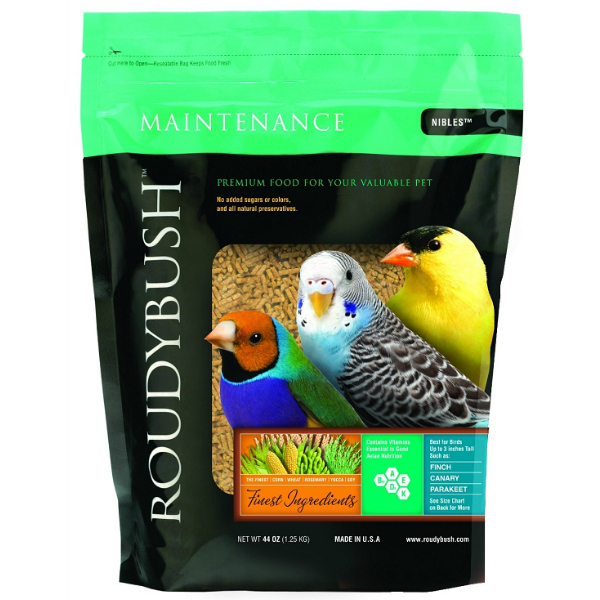 Use this diet when switching your bird from its old diet to Roudybush. 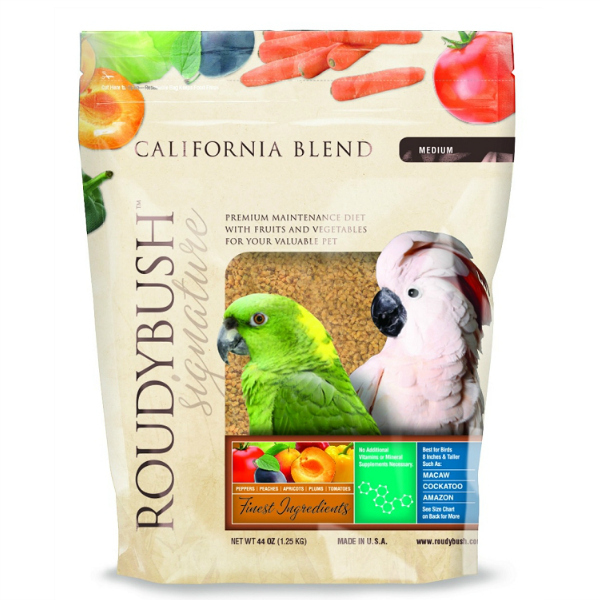 Continue to feed to adult birds that are not laying eggs or feeding chicks. 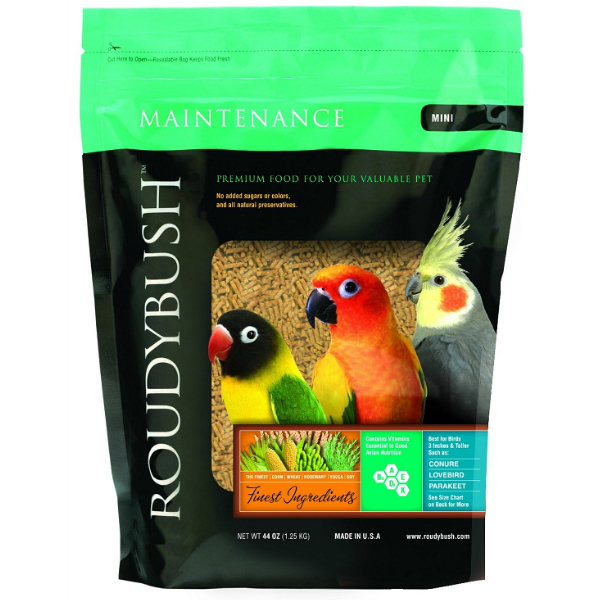 Lories and lorikeets, which will accept this diet, will have drier droppings than they have on nectar. Do not give additional vitamin or mineral supplements. Fresh fruit and vegetable treats may be given as a minor part of the diet. 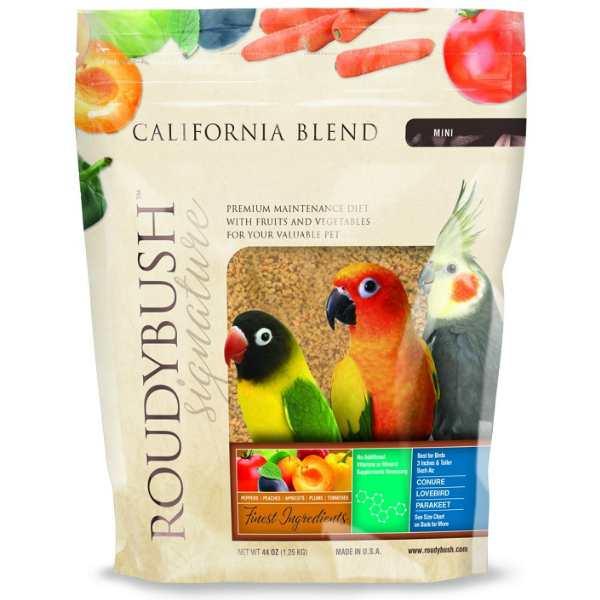 Today, Roudybush inhabits a 32,000 square foot warehouse with state-of-the-art equipment that allows the company to maintain Tom's high quality standards. Tom continues to be involved in nutritional research, and is committed to learning more about the requirements of birds in captivity. 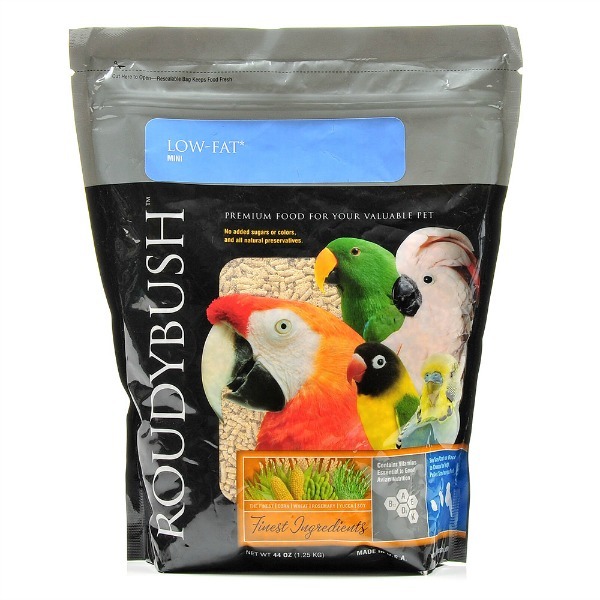 This has lead to the manufacturing of diets for birds with special needs including; growing chicks, overweight birds, and birds with specialized nutritional needs due to certain disease process such as liver disease, kidney disease, intestinal tract diseases, and obesity. 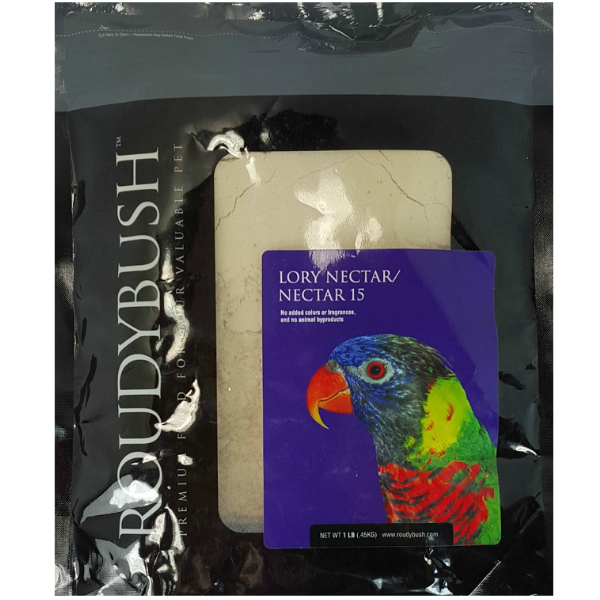 Tom's concern for captive birds has even led to our new Rice Diet which is formulated to help birds that are feather plucking or self-mutilating due to food allergies.